from all of your dining room chairs, and now you have 8 people (whom you dearly love) headed over for brunch in the morning. You’re thumbing through your Pinterest Feed looking up every French Toast Casserole, debating dashing that week of healthful eating in the name of easy entertaining. In the words of my best gal pal, Lauren, put on some gangsta rap (in my case LeAnn Rhimes), throw your hair in a messy bun and handle it. No, but really, it’s not big deal. Here’s the thing I have to remind myself about entertaining all of the time: It doesn’t matter how you do it, it just matters that you invite them in. 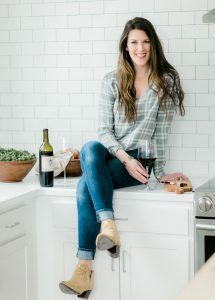 There are so many creative and easy ways to entertain a crowd or even a small bunch without the stress. 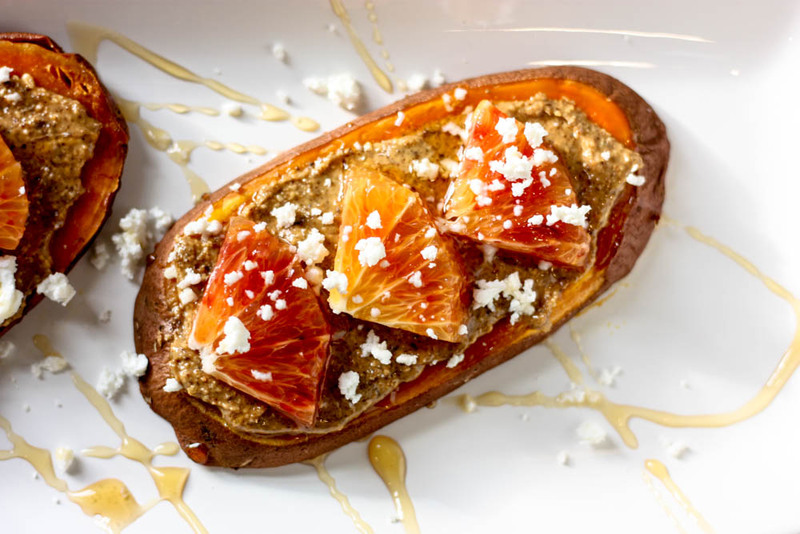 Enter: Sweet Potato Toast – topped with Goat Cheese, Blood Orange, and Almond Butter, I might add. 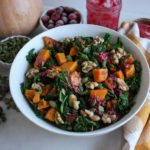 This combo may sound a little crazy to your guests, but it’s wildly satisfying and pleasing to the palate. 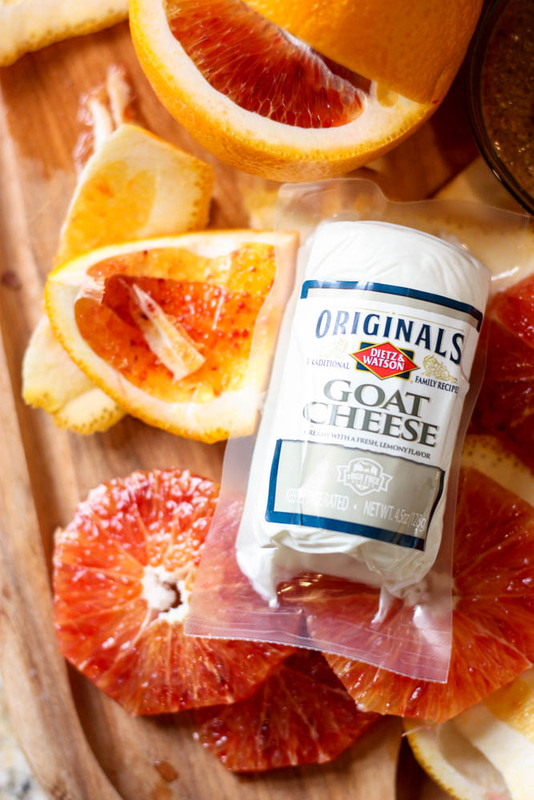 The juxtaposition of the salty and creamy goat cheese marries well with the tangy blood orange and the almond butter rounds the bite out and provides a little protein punch. Whenever I do choose to consume dairy or deli products, I always look for varieties that are natural. I prefer to use Dietz and Watson Originals because of what isn’t in their product as well as the quality of the product that goes in them. 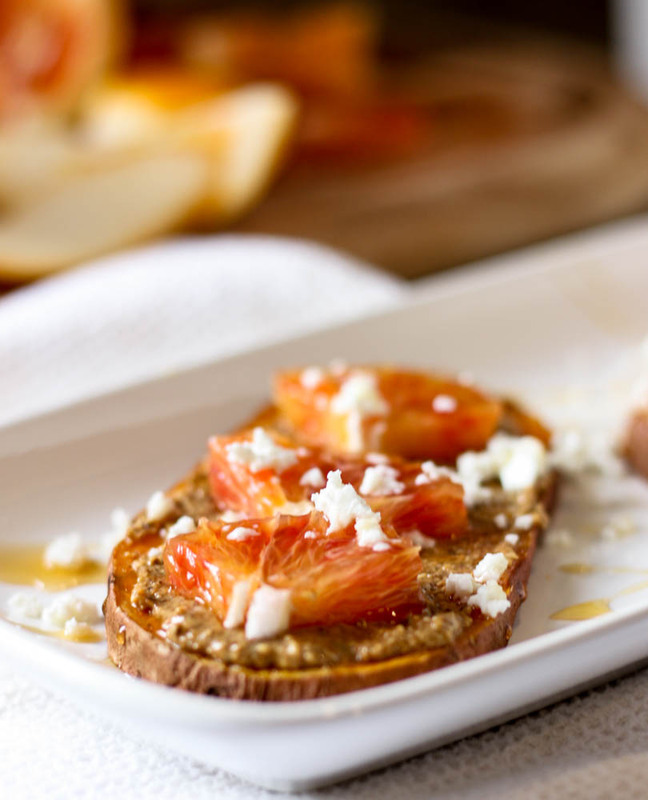 Back to the toast – serve this up with a side of scrambled eggs (you could add goat cheese here, too! ), and your favorite mimosa for a brunch made bright, simple, and healthy. Preheat your oven to 400 degrees. Scrub your sweet potatoes and pat dry. Cut them lengthwise into toast sized slices – about 1/4 – 1/2 inch thick. Place the slices on a cookie sheet lined with parchment paper and spray both sides with coconut oil. 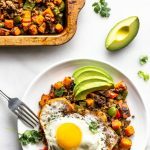 Bake this for about 25 minutes or until the sweet potato is cooked through. If you want a crisp on the “toast” turn the oven to broil and let it brown for about 1 minute per side. 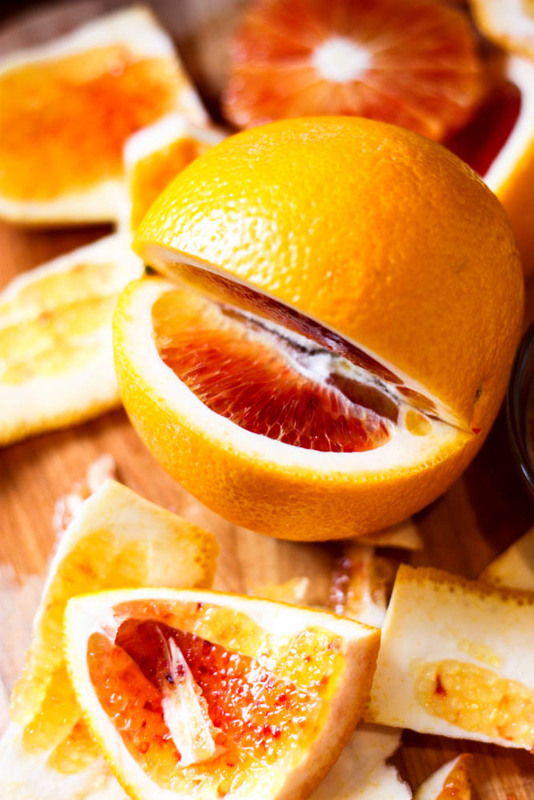 Slide the toast from the oven and let them cool as you peel and slice the blood orange. Measure out the almond butter into a bowl. Crumble goat cheese into a separate bowl with a fork. Now you’re ready to assemble. 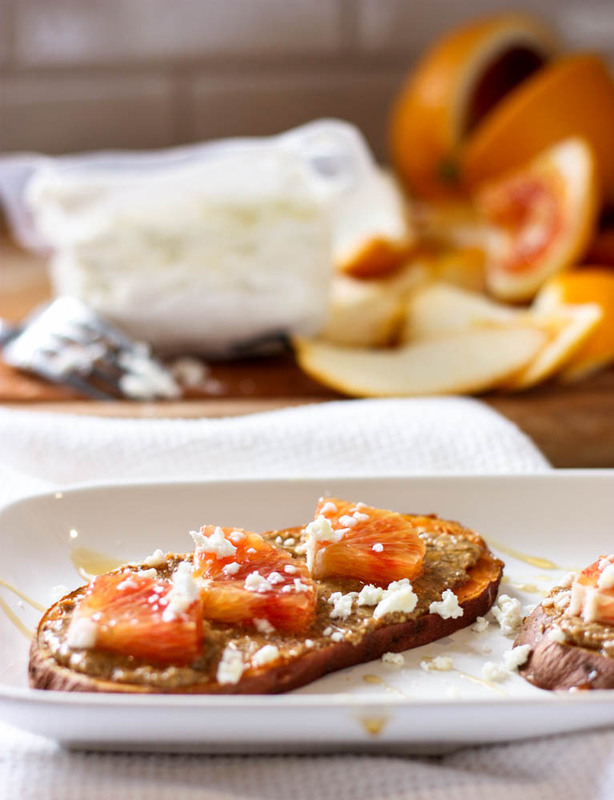 Spread on the almond butter, top with blood orange, sprinkle with goat cheese and drizzle with honey. Toast up! Scrub your sweet potatoes and pat dry. Cut them lengthwise into toast sized slices – about 1/4 – 1/2 inch thick. Place the slices on a cookie sheet lined with parchment paper and spray both sides with coconut oil. 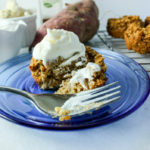 Bake this for about 25 minutes or until the sweet potato is cooked through. If you want a crisp on the “toast” turn the oven to broil and let it brown for about 1 minute per side. Slide the toast from the oven and let them cool as you peel and slice the blood orange. Measure out the almond butter into a bowl. Crumble goat cheese into a separate bowl with a fork. Now you’re ready to assemble. 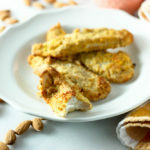 Thank you to Dietz and Watson for supplying product for this recipe. As always, all opinions and ideas are my own. Thank you for supporting Miss Allie’s Kitchen and making growth possible! Yum Allie I bet this is SO GOOD! Thank you!!! I totally loved it! Thank you, Em! It was such a crazy fun combo! Amazing! never would have thought those flavours go together! looks delish! I thought it was crazy when I thought of it, but I promise it works!! Thank YOU! You’re so sweet! Honestly this combo sounds so freaking good! We don’t do a lot of entertaining yet but will be once we buy a house this spring! Ahhhh HOORAY for house hunting! And thanks, girl! One of my favorite odd combos now! 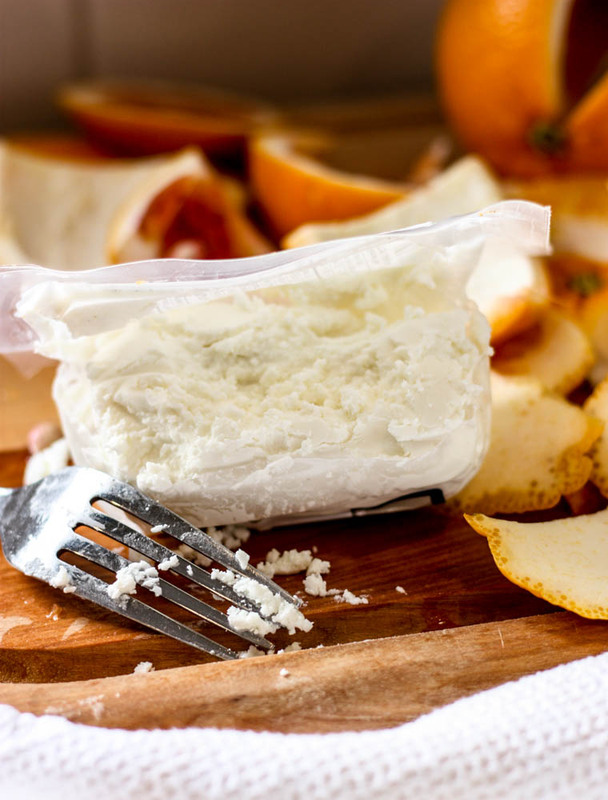 Oh my, that goat cheese! I always panic when I have people over but the best thing I learned is that people won’t remember the shape of your home but they’ll remember how you made them feel. 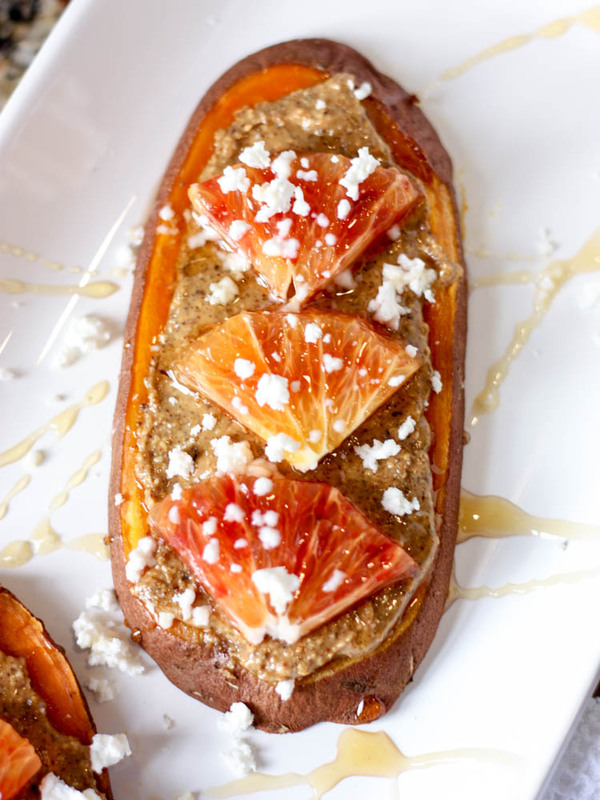 I’m sure your guests were feeling pretty amazing after you fed them this sweet potato toast! Exactly!!!! You’re so so right! I would not have though about combining these ingredients but it sounds heavenly! 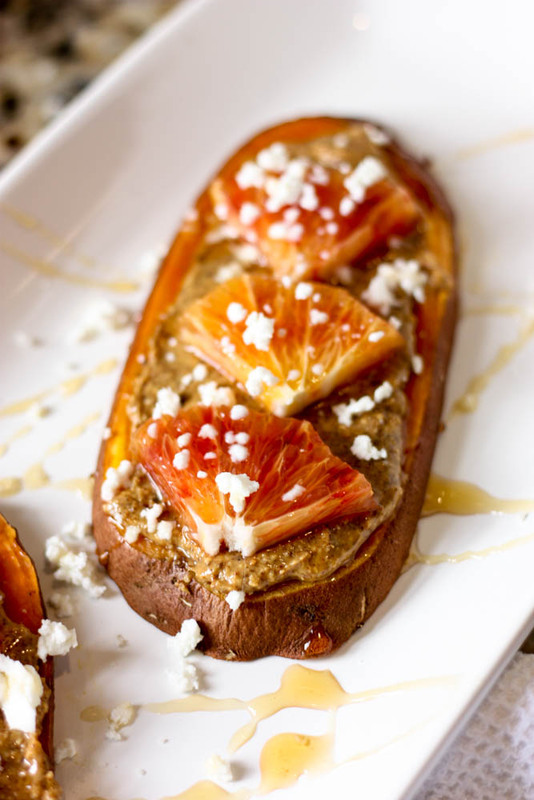 I can’t wait to try some sweet potato toasts.